This morning Texas aquired the quarterback of our Seattle Seahawks, Russell Wilson. No, I’m serious. But have no fears, we didn’t lose our QB. The Cowboys or Texans didn’t pull a fast one, it was the Texas Rangers. 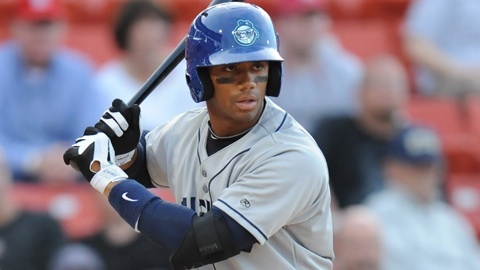 The Rangers selected Russell Wilson in the MLB rule 5 draft, obtaining his rights from the Colorado Rockies. Russell obviously won’t be playing baseball any time soon, however if he did decide to hang up his shoulder pads for his glove… He would be a Ranger. Texas paid $12,000 for this transaction… But from a buzz standpoint alone I’m sure they felt it was worth the publicity if it made them trend on twitter for a few minutes. « Seferian-Jenkins Wins Mackey Award?? ?